Mirwaners! Banda Aceh is the capital city of Aceh province. It is the gateway to the north side of Sumatra. The city, also known as Serambi Mekah (Veranda of Mecca), was the site of the first spread of Islam in the archipelago. It is said that the Sultanate of Aceh was part of the Ottoman Empire. Apart from the amazing historical places, you can also enjoy the stunning stretch of Banda Aceh. 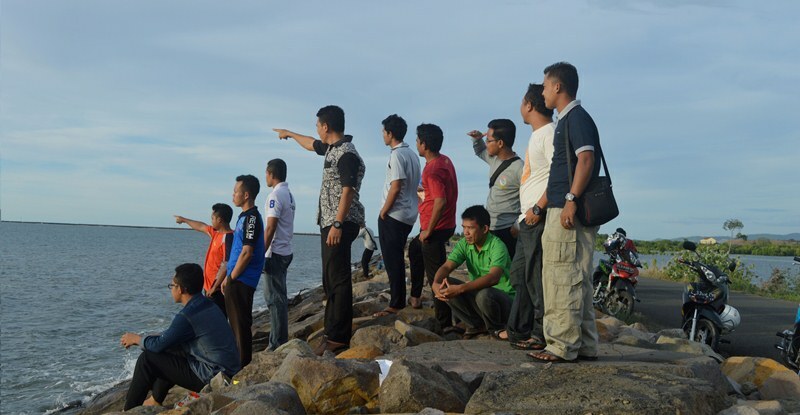 After more than 14 years since the tsunami disaster in 2004, Banda Aceh has now risen and preened beautifully. Lots of beautiful destinations you can visit here. To go to Banda Aceh, there are several options that you can choose according to your budget, starting from planes, buses or ships. Sultan Iskandar Muda International Airport and Malahayati Port are both located not far from Banda Aceh, making it easier for tourists who want to go to Banda Aceh. Then, what are the best destinations to visit in Aceh? Check the list below! As a great nation, history is a treasure that must always be remembered even though it is a bitter and sad reality. 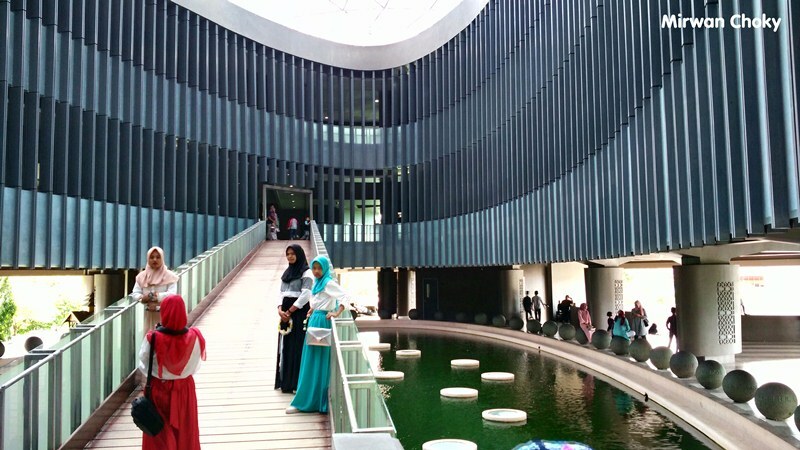 The tsunami museum in the center of the city of Banda Aceh is a reminder as well as a monument of appreciation for people who have struggled to survive when the tsunami on December 26, 2004 hit. This museum is open to the public for free. You only need to pay parking fees if you bring a vehicle. In this museum, you can feel the atmosphere when the tsunami happened and see photos and stories of survivors. The names of the victims were written neatly on the walls of the museum. Outside, the building of the museum is like a large ship, but if from above, the shape resembles the ocean waves. In addition to functioning as a historical object, this building also has a function as an evacuation site if the tsunami happens again. Walking a little behind the museum there was a Dutch military funeral when the Aceh war took place. About two thousand local soldiers and the Dutch East Indies are buried here. The traces of the tsunami devastating in 2004 can still be clearly seen through several monuments in Banda Aceh, one of which is PLTD Apung 1 (Diesel Power Plant) monument. It’s located in five kilometers to the center of Banda Aceh City. The area around the PLTD Apung 1 has been made by the government as a means of educational tourism. Around the monument there are relics that resemble waves of flood. You can also get on the boat and see the stunning range of Bukit Barisan mountain. This Floating Ship is also a silent witness to the history of the enormity of Tsunami in 2004. 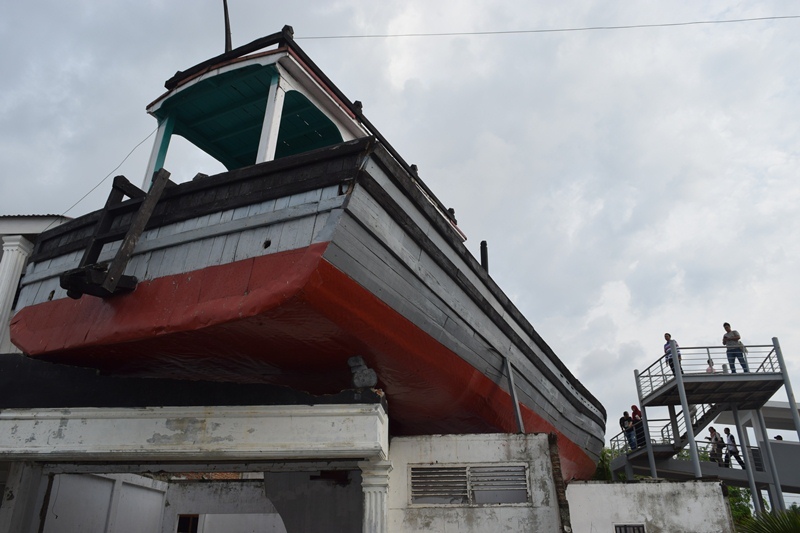 This 65-ton ship was caught right above a house in Lampulo Village. The Lampulo ship is owned by a fisherman. 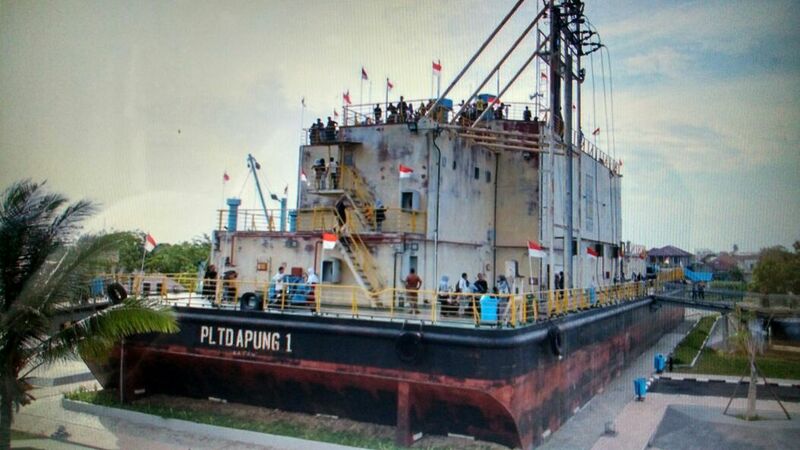 It was anchored on TPI Lampulo before the tsunami. This wooden ship turned out to be a savior for 59 people when the tsunami occurred. To be able to see the top, a flat ladder has been provided so you can freely see the shape and condition of the ship. This monument certainly reminds us of the greatness of the Creator. To get here, you can use ‘labi-labi’ or motorized tricycles from Banda Aceh with a price range of 5,000 IDR per kilometer. This beach is one of the favorite destinations of local residents and tourists to unwind. This beach was the beach with the worst damage in the tsunami disaster. This can be seen from the color of the sand that has turned brown. Even so, this beach always has beautiful scenery. You can also enjoy a menu of roasted corn that is widely sold along the beach while enjoying beautiful twilight. Lampuuk beach is a white sand beach which is located 15 kilometers from Banda Aceh. There’s not many people wanted to visit there right after the tsunami, but now Lampuk Beach has returned to being visited by many tourists. There are four entry paths to the Lampuk Beach which are named sequentially from north to south with the names Babah Satu, Babah Dua, Babah Tiga and Babah Empat. The Babah Tiga line is the path to the beach which is often used for surfing activities, while in the Babah Dua line there is a turtle conservation education place. Along the coastline, you can easily find appetizing seafood stalls. This beach has also been equipped with tourist facilities such as a banana boat. If you want to stay overnight, you can choose places from general inns to luxurious cottages. Iboih Beach is a beach that has tranquility so it is perfect for refreshing our mind. The tranquility of the beach and its exotic beauty make the beach so peaceful. Iboih Beach is located in Iboih Village, Sukakarya District, Sabang. 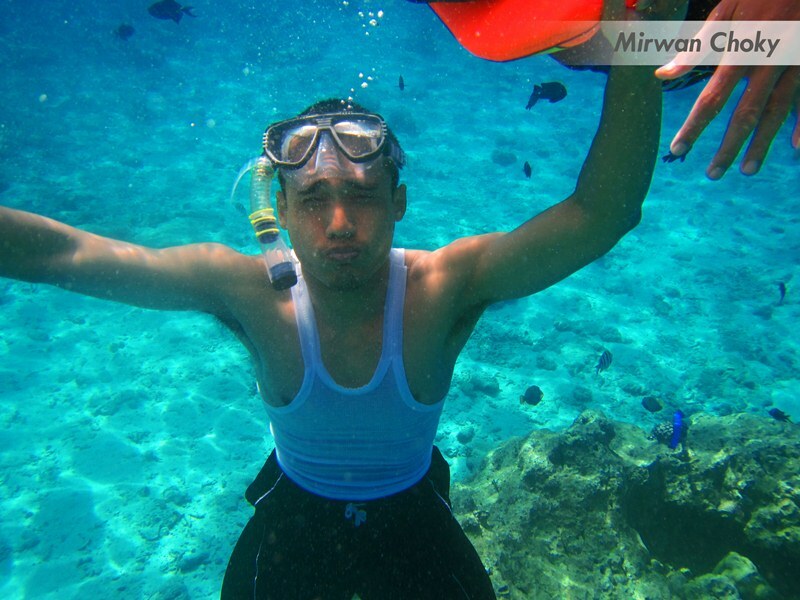 You can snorkel or dive on Iboih beach, if you want. To reach Iboih Beach, you can start from the Port of Ulee Lheue. 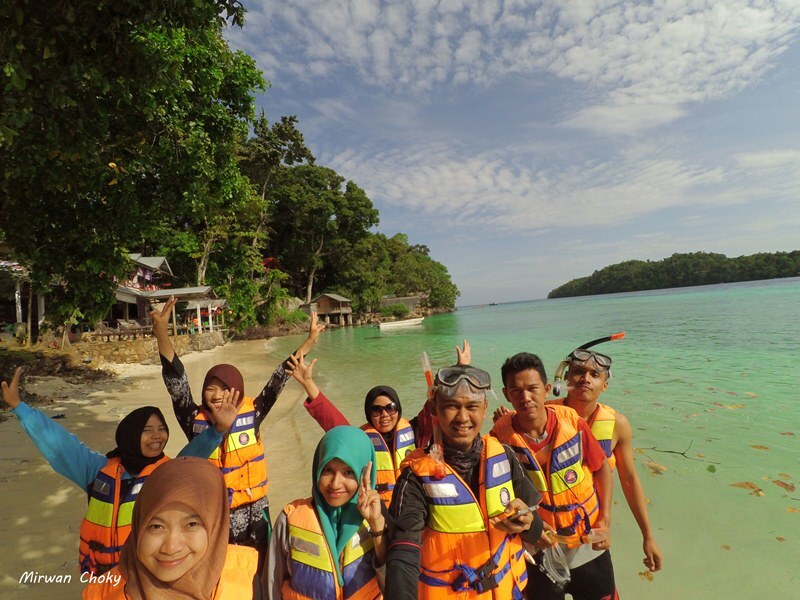 After arriving there, you can use a large boat to get to Balohan Port, Sabang. Arriving at the Port of Balohan, you can immediately use public transportation or rent a motorbike to get to Iboih Beach. Klah Island is a beautiful island. The scenery of this island is different from other islands. Klah Island is part of Sabang city area. This island is located in northwest of Pulau Weh. Klah Island is right in the heart of Sabang bay. They also built a lighthouse that functions as a navigation for ships anchored in Sabang bay. This island is located in front of Krueng Raya beach. Alue Naga is one of the villages that have been visited by many tourists. This beach is located on the road to Kajhu, Aceh Besar. The location of Alue Naga Beach shows off a beautiful natural mix of beaches, oceans, river estuaries, mangrove forests, and activities of fishermen. I bet you will feel relaxed, enjoy and comfortable when visiting this location. That's how I feel when I visited this beach. For your information, the best time to visit Alue Naga beach is when the sun starts leaning westward. At times like this, there are always many visitors coming to just spend time and watching the sunset. This Ujoeng Manggeng Beach is very wide with gray sand, plus lush pine trees that line neatly along the coastline. This condition makes this beach attractive to visitors. This beach is bordered by the Krueng Manggeng estuary in the south and Lhok Pawoh in the north. This beach is visited by many tourists on certain days such as Sundays, Public Holiday, Wednesday or Friday or on ordinary days. 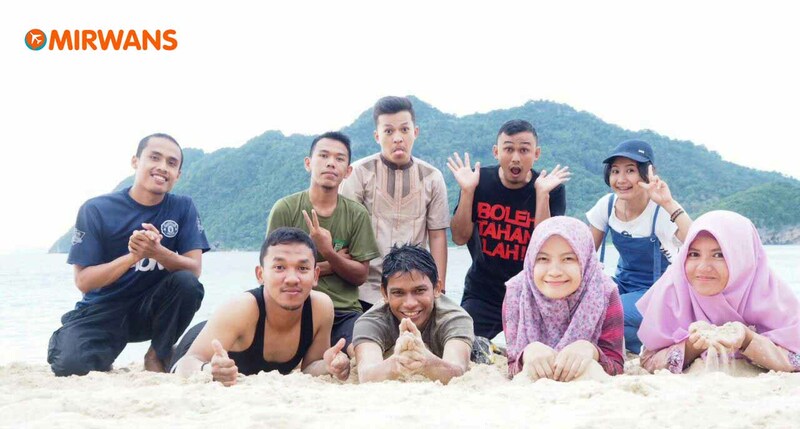 Lhok Mata Ie is a beach that hidden in somewhere in Aceh. On the beach of Lhok Mata Ie, besides the clear sea water, it also stores various types of fish and coral reefs that are charming. In addition, the beauty of the underwater looks so beautiful. It looks like as canvas which are integrated in various exotic color gradations making this beach one of the snorkeling spots that you should try. Gua Sarang (Sarang Cave) is one of the adventure tourism objects in Weh island, Aceh. Well, in Gua Sarang there is a cool beach. Actually this location is a protected forest area where the air around this cave is still very fresh and natural, not yet polluted. To go to this location, you need some extra energy and stamina because you have to go through the forest and cliffs. Not only through the forest, after we go down through steep cliffs and forests we will walk more along the beachside of Balek Gunung by walking on the rocks on the beach before reaching the cave location. But your trip will pay off with its enchanting natural beauty. Especially with the view of the sea that is very beautiful extraordinary. Basically you will not be bored if you visit this place many times. Do you know that this fort is also one of the favorite tourist destinations visited by tourists. In ancient times, local people said that this fort had become a weapon storage for the Japanese fleet. When we see from its position, this fort was built and functioned as a fortress, because of its position buried in the ground and which appeared only the horseshoe-shaped upper part. If we look at it from the map, this Japanese Fortress is located in the eastern part of Sabang, precisely adjacent to the beach of Anoi Itam. If we are already in the location of Anoi Itam Japan Fortress, we will be able to see the landscape of the hill with lush green trees and shade, a bluish beach that is cool and a small fort below the foothills that make us want to step across the stairs and ready to climb. This GT Peak also offers side views that are often overlooked by tourists or travelers. The port side of Balohan which is no less beautiful with views of the peak of Kilometer Nol (Zero). Moreover, this road is now one of the roads that has a beautiful view in the city of Sabang. Because from this road we can see the stretch of sea with turquoise blue, covered with lush green trees on the hill. As we know that almost all regions of Indonesia have valuable monuments, including Sabang and Merauke having a Zero Kilometer Monument. Sabang and Merauke are two cities on the westernmost and easternmost tip of Indonesia which both have a Zero Kilometer monument. This monument is located in Sabang Tourism Forest, precisely in the Iboih Village Ujong Ba’u, Sukakarya District. About 5 km from Iboih Beach. It is located on the west side of the city of Sabang, about 29 kilometers or takes 40 minutes to drive. Aceh Besar is endlessly presenting natural charm that tempts the eye to visit. One of them is the Lamreh Cliff Peak. For those of you who like to walk to places that are challenging and like the wild, you can go to this location. This Lamreh village is located in Mesjid Raya District, Aceh Besar District. On the Lamreh Cliff there is a steep and high rock platform and juts into the sea. This spring water originates from Mount Panjupian which irrigates the Panjupian River which is used as a tourist location. Not only the water is cold, in this location there are also facilities such as a hall to relax. Picnicking becomes more complete by eating food sold in stalls in the river area. According to some of my local friends, on holidays not only local residents come, but also from various regions. Entering this area visitors will be charged a fee of IDR 5,000 for car parking fees and IDR. 3,000 for parking the motorbike. This seven-level waterfall is located in the Tapaktuan District, South Aceh District, Aceh Province. It took 8 hours by road if from Banda Aceh City. This location is quite close to the city of Tapaktuan, maybe the distance is about 10 minutes using a motorized vehicle. To be able to get to the First Level Waterfall, we have to walk up to about 1-2 Km from the main road, namely Jl. Medan - Tapak Tuan. This location has a parking lot and visitors can bring a motorbike or car to get to the parking area before the first level waterfall. If you want to go to this location, you can travel by plane, land and sea lanes. If you use the air route, you can go through Teuku Cut Ali Tapaktuan Airport from Medan Polonia Airport or Iskandar Muda Airport in Banda Aceh. With land routes can be reached from the city of Medan for about 8 hours drive to Tuantapa City and 3 hours drive from Meulaboh Aceh. Batu Tunggai Cold Water Bath is located not far from Tapak Tuan city. There are beautiful waterfalls, big and tall rocks as if they have become a characteristic of this location. For me, this cold water bath has a cool natural panorama and is very suitable as a place to unwind. Incidentally, my friends and I yesterday spent the whole day here. Baiturrahman Great Mosque is an Aceh Sultanate mosque built by Sultan Iskandar Muda Mahkota Alam in 1022 H / 1612 AD. This magnificent building similar to the Taj Mahal in India is located right in the heart of Banda Aceh and is the focal point of all activities in Aceh Darussalam. As a historical place that has high artistic value, this mosque is a religious tourist attraction that can make every tourist or visitor who comes in awe of the history and beauty of its architecture, which is one of the most beautiful mosques in Indonesia that has stunning architecture, carvings interesting, spacious courtyard with a water pool in the style of the Ottoman Empire and will feel peace when being inside this mosque. Brayeun dam is one of the main choices of place for Acehnese residents for vacation. In addition to its cool and lush place, this bathing arena is also relatively safe, some are shallow even though some are deep too. Even at the edges can stand seven-year-olds without fear of drowning. There is also a boat, just to rent a rubber boat that costs Rp. 40 thousand in one loan. This tomb has been made for a religious tourist attraction by the Government of Banda Aceh City. Every day hundreds of visitors always throng this tomb area. Either just seeing or going on a pilgrimage while reciting remembrance and praying at this tomb. In front of this building there is a pamphlet written in the history of this tomb. Includ the date of birth, died even in his office during the Kingdom of Aceh Darussalam in the reign of the Queen. There are 4 queen of Shiah Kuala serving as Kadhi Malikul Adil of that time. Why is it called Jacky Chan Village? According to a source from Kompasiana, the person who sponsors and raises funds for this village is Jackie Chan. However, in the inscriptions, written in three languages: Indonesian-Chinese and English, it was mentioned that the Indonesia-China Friendship Village was funded by the China Charity Federation and the Red Cross Society of China. And, the implementation of the development was carried out directly by Chinese contractors, namely Synohydro Corporation of China, which was inaugurated on July 19, 2007. Thus 23 best destinations to visit in Banda Aceh, Indonesia. Actually there are still many cool tourist attractions in Aceh. But what I wrote above is only the destination that I have ever visited .